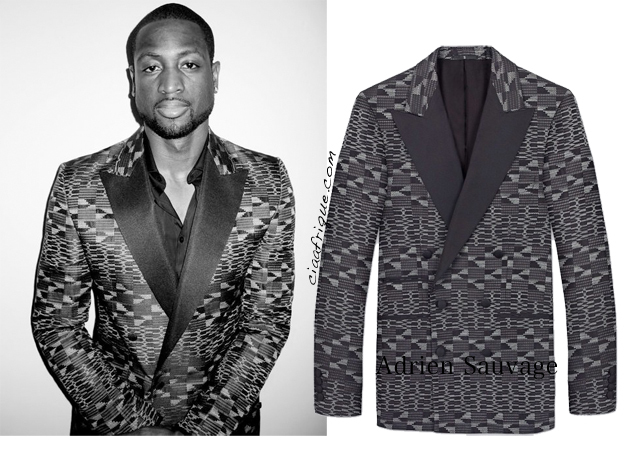 Basketball star Dwayne Wade looks fab in this Adrien Sauvage Classic Kente Tuxedo Jacket. Well if you want the same this Jacket sells for a cool £1,500.00 here. Thoughts ? lOVE YOUR BLOG SO FOLLOWING YOU HOPE YOU DO THE SAME.